HÀ NỘI — The office market in Hà Nội was expected to face a shortage of supply with competition between offices for lease and co-working spaces likely to rise in the future, but was performing well at present, according to experts. According to Savills Research, Hà Nội and HCM City witnessed a downward trend of yields from the second half 2015 to the second half 2018. “This again was caused by the limited supply of available office developments for sale, which has resulted in more aggressive bidding prices from buyers, driving yields further downward. The office sector is currently a seller’s market in Việt Nam; in other words, if you are an office development owner, now is a good time to sell,” said Hoàng Nguyệt Minh, Investment Manager at Savills Hà Nội. In the Grade A segment, no new supplies had been seen in Hà Nội for three years, and the Grade B segment had only two new projects put into operation from the beginning of 2018. The demand for office space, including new offices for lease and expansion of office space, was still high, leading to a temporary shortage of supply and an increase in occupancy rates and rental prices, reported Đầu tư (Investment) newspaper. According to Savills Vietnam, Hà Nội was expecting to receive a new supply with a total area of 500,000 sq.m by 2020, including five Grade A office projects in 2019. Thai Square on Trần Quang Khải, Hà Nội is expected to supply 25,000 sq.m alone when it opens in the first quarter of 2019. 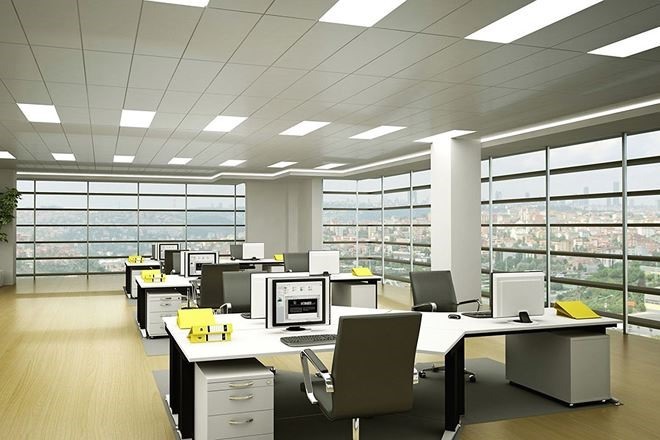 By the end of this year, an additional 153,000 m2 of office space would be opened. This supply was expected to increase sharply in 2020-21 and concentrate on the Grade A segment, according a representative from Jones Lang LaSalle Incorporated. Besides that, offices for lease will have to compete with co-working space. Vũ Thị Phượng, director of Replus Joint Stock Company, forecast that 2019 would witness spectacular growth in the country’s office for lease segment. Grade A office space, virtual offices and co-working spaces were expected to see strong development. Đặng Văn Quang, director of JLL Vietnam, also predicted that in 2019 co-working space projects would increase and bring good profits to the real estate industry. According to CBRE, finance/banking/insurance and tech firms were also seeking new office space. This year, positive rental growth is expected in both the Grade A and B segments, especially in Grade A on the back of new supplies in central business districts (CBD). According to the latest Savills report, Hà Nội offered the highest office yield in the world at 8.57 per cent. For the third time since January 2017, Hà Nội ranked first globally for its CBD Grade A office yield. Previous runner-up HCM City dropped to fourth with market yield of 7.36 per cent. Hà Nội has more than 1.9 million sq.m of offices for lease, including 529,000 sq.m of Grade A offices, more than 1.34 million sq.m of Grade B and about 253,000 sq.m of Grade C.